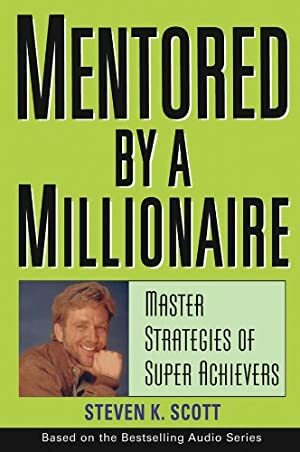 Unlike any book you've ever read, Mentored by a Millionaire is made up of fifteen mentoring sessions in which you will be mentored in the strategies, skills, and techniques used by super achievers who have become the world's most successful men and women. You will be mentored in these sessions by Steve Scott, a man who has not only made millions himself, but has helped dozens of others make millions as well. Track It. This book has been $19.27 within the past year. Log In to track Steven K. Scott on eReaderIQ. to be notified each time the price drops on any book by Steven K. Scott. to stop tracking Steven K. Scott. We started tracking this book on December 17, 2013. The price of this book has changed 131 times in the past 1,953 days. The current price of this book is $21.54 last checked one day ago. This lowest price this book has been offered at in the past six months is $19.32. This lowest price this book has been offered at in the past year is $19.27. The lowest price to date was $14.99 last reached on December 17, 2013. The highest price to date was $27.49 last reached on April 4, 2018. This book has been $27.49 one time since we started tracking it. We last verified the price of this book about one day ago. At that time, the price was $21.54. This price is subject to change. The price displayed on the Amazon.com website at the time of purchase is the price you will pay for this book. Please confirm the price before making any purchases.